We deliver top quality, cutting edge Magento web and mobile applications, extension & custom development services w/ superior customer support. We help you give your Magento powered shop the outlook it needs to get the best customer experience and hence better sales. Magento.ocodewire was born in 2009 when Magento just started picking up. Its birth was the outcome of an initiative taken to provide Magento solutions to the ones who needed them and popularise amongst those who weren't familiar with it. We at Magento.oCodewire are here to foster long term relationship with all our customers and help them achieve their goals. We integrate innovation with the quintessential online marketing strategies, namely search engines, email and social media. So, if you want your existing site to adopt Magento, look no further. If you want a new Magento online site, look no further. And if you want to enhance your online presence, you know where to look for. We have all the expertise required to get the results that you'hv had a blueprint of hitherto. A website was just the beginning, a baby step towards the revolution, we wish to bring in in the world of ecommerce websites. Together we can and we will turn the cash registers ringing. Clients come first for us. Their undying spirit is the reason we have been able to serve more than 150 clients since we started our journey with you, for you. 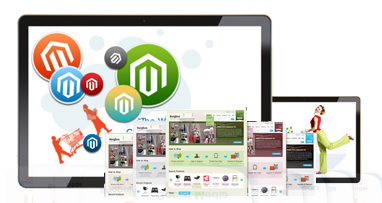 We have experts at desk for magento development, magento migration, magento extensions and for magento 2.0 too. Our expertise includes formulating plans for new and old websites keen on magento development or migration (whatever the need be). With developing magento websites, we aim to lend advance functionality to the sites and help them earn the desired results. Together, we can help you grow your business! 2015-16 has been the major time when Magento rolled out next generation Magento 2 platform we are one of the few firms who adopted it early on right from the beta launch in 2015 and have launched 7+ Magento 2 based stores till date in 2016. Mobile E-commerce and Apps are picking up the momentum and we have started delivering Mobile web and Magento based app solutions. The consolidation phase in our journey as a company and E-commerce application development service providers. We have been able to deliver 15+ Magento Web stores this year. The tag line of our business- ‘Everything in Magento’ because we believe in providing comprehensive solutions around Magento. No one is perfect, but if we work together we can achieve anything & any how. It means money can come to life through partnership. With the aim of creating lasting business value for our clients we have worked for about 150 clients since our inception in 2009. We have Magento certified developers and Magento certified specialists, the best your business deserves. 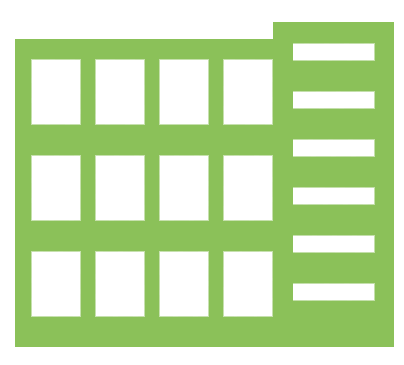 They are skillful folks well-versed in Magento and will provide full solutions and also lend full support after the sale, unlike others. The techniques are indeed both for frontend and backend. Our proficiency is well tested and proven. Our team helps in sustained growth. You will love the work accomplished by our MagentoOcodewire team.